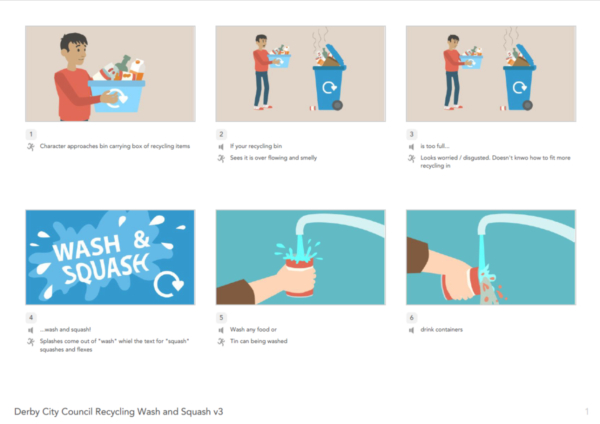 Recycling Explainer Animation for Derby City Council | Mair Perkins Ltd.
Derby City Council asked me to create an animation to encourage residents to wash and squash recycling items. We started the project by writing a script and sketching a rough storyboard which also formed the animatic video. The animatic video has a draft voiceover reading to test timings and script wording before hiring in a professional voiceover artist. After a few revisions were made to the initial script, I began illustrating the storyboards in Adobe Illustrator. These were then approved by the council and animation production began. The animation was produced in After Effects using the Adobe Illustrator storyboard artwork. Afterwards the professional voiceover and a background music track were added. For accessibility purposes, hard coded subtitles were added to the video. The video is being shared on the council's website and social media. Voiceover supplied by Haynes Music Productions. 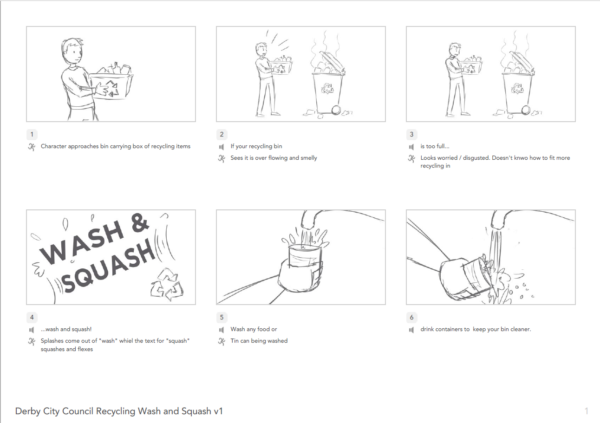 Derby City Council asked me to create an animation to encourage residents to wash and squash recycling items. We started the project by writing a script and sketching a rough storyboard which also formed the animatic video. The animatic video has a draft voiceover reading to test timings and script wording before hiring in a professional voiceover artist. After a few revisions were made to the initial script, I began illustrating the storyboards in Adobe Illustrator. These were then approved by the council and animation production began. The animation was produced in After Effects using the Adobe Illustrator storyboard artwork. Afterwards the professional voiceover and a background music track were added. For accessibility purposes, hard coded subtitles were added to the video. 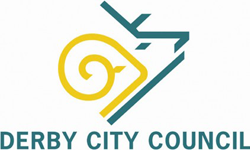 The video is being shared on the council's website and social media. Working with Mair was so simple. She took the time to understand exactly what we were looking for, and this made the creative process quick and easy. She has a keen eye for detail and an instinct for what looks and sounds good, and has created to date two very effective and engaging animations for us which have proven popular with our residents. I would recommend Mair to anyone wanting a professional and eye-catching animation. Storyboard sketches also used in the animatic video.